A Nerd Blast, also commonly known as a Book Blitz or Book Blast is a highly effective, five days promotional tool (which means bloggers can choose one of the five days to post the blast). With your promotional information appearing across dozens of blogs, and being shared via their social media you are essentially “blasting” the community with your book information reaching thousands of potential readers with little to no work on your part. All blasts must have a giveaway valued at a minimum of $25.00 provided by the author, and can not consist of only eBooks. A highly effective, one day promotional tool. With your promotional information appearing across dozens of blogs, and being shared via their social media you are essentially “blasting” the community with your book information reaching thousands of potential readers with little to no work on your part. All Cover and Trailer Reveal must have a giveaway valued at a minimum of $25.00 provided by the author, and can not consist of only eBooks. A Kindle Force is a highly effective five day promotional service designed to drive sales. Your information is shared across dozens of blogs and their social media. Within the five days, a special promotional price (up to $4.99) for your ebook will be set, ultimately driving sales to your book. By creating this force in the community, this will fundamentally establish future potential buyers of your upcoming and/or other projects. 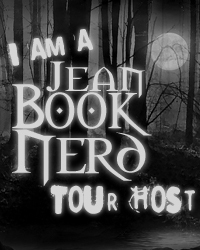 The Mini Nerd Tour is a 7 day tour, with one stop on each date. - Custom made banners by a professional graphic designer. - We do all the leg work, including blogger communication and scheduling is handled by Jean Book Nerd. - We will hand pick 7 Blogs specifically for your tour from our hosts who request participation, ensuring that you only end up with blogs that have interest in your book. The Super Nerd Tour is a 10 day tour, with one stop on each date. - A Giveaway run by and handled by Jean Book Nerd using Rafflecopter and designed specifically to gain you more social media followers and in some cases, book sales when the situation is right. The minimum value of this prize must be $50.00, and can not consist of only eBooks. - We will hand pick 10 Blogs specifically for your tour from our hosts who request participation, ensuring that you only end up with blogs that have interest in your book. The Ultra Nerd Tour is a 14 day tour, with one stop on each day OR 2 stops each day for 7 days. - We will hand pick 14 Blogs specifically for your tour from our hosts who request participation, ensuring that you only end up with blogs that have interest in your book. Perfect for the busy author because we handle everything down to the purchase and delivery of your prize to your winner! The Mega Nerd Tour is a Full Service Tour package lasting 14 days. - Tour lasts 14 days total, with one stop on each day OR 2 stops each day for 7 days. The Cosplay Tour is a 14 day tour with a custom-made costume of a character from your book. - Custom Costume will be made of a character of your choosing. This costume will be paid at actual cost. - A Cosplayer will wear the costume at a fan convention and professional photographs will be taken. - Cosplayer will give out promotional items (provided by author) at the convention. - **OPTIONAL - Cosplayer is willing to travel during book signing and/or events of your choosing. Email us for more details. - A Giveaway run by and handled by Jean Book Nerd using Rafflecopter and designed specifically to gain you more social media followers and in some cases, book sales when the situation is right. The minimum value of this prize must be $25.00, and can not consist of only eBooks. The VLOG Tour is a 10 day tour, with one stop on each date. - 5-6 Reviews and 4-5 VLOG provided by author.